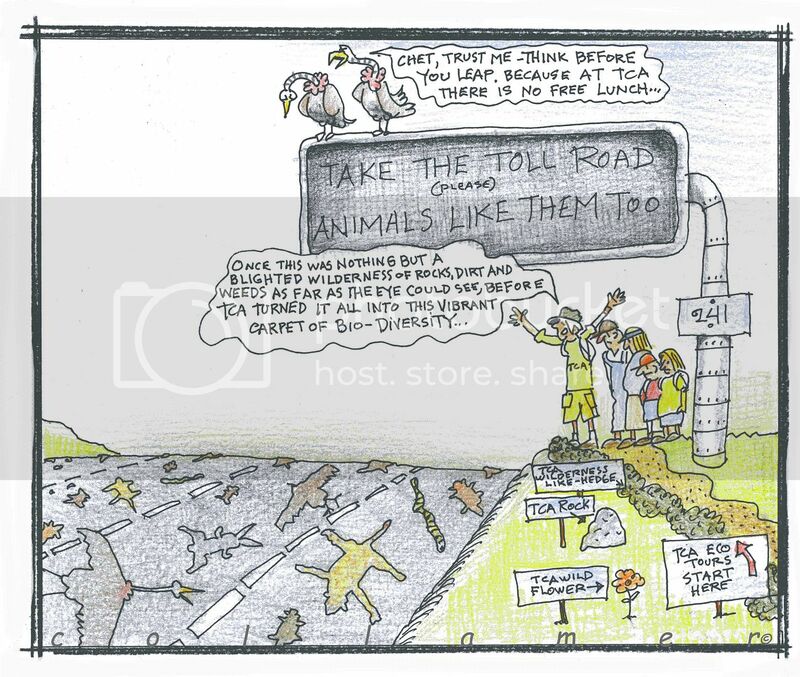 WHO: Surfrider Foundation activists, surfers, hikers and everyone who opposes the extension of the 241 Toll Road. It is critical that toll road opponents register to speak and attend the hearing to show their strong support for San Onofre State Beach. WHAT: The U.S. Secretary of Commerce rescheduled public hearing regarding the controversial 241 Toll road extension. TO SPEAK: In order to speak at the hearing, a written request must be submitted via United States Mail or commercial carrier to NOAA by September 12, 2008. No requests received after September 12 or requests submitted via e-mail, fax or voicemail will be considered. Please say you will be speaking as an individual, not representing an organization. 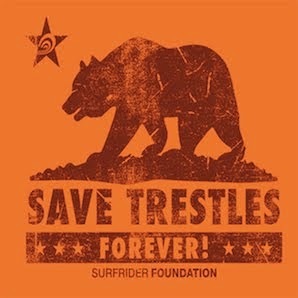 To benefit the Surfrider Foundation's Save Trestles campain. Drew Brophy, Thomas Bugard, Chad Carothers, Eileen Comia, Sean Fahlen, Kim Hamrock, Howard Kirk, John Lewis, Dennis McTighe, Keith Neblet, Robert Andrian, Josh Searfin, , ..
"THE PERFECT WAVE"THE PERFECT WAVE is an artistic expression of the California surf culture. THE PERFECT WAVE event will provide an environment for these diverse artists to express their vision of what the perfect wave is to them. Each artist will unveil a their new work specifically created for the event. A raffle will be held for the works and proceeds will go to further the fight to Save Trestles and San Onofre State park from being bisected by the 241 toll road. WHAT: Hans Fernan, an Encinitas lifeguard, will lead a group of paddlers over a period of six days and paddle the entire coastline of San Diego County from Border Field State Park to San Onofre State Park- a total of over 70 miles.. The last day of the paddle will coincide with the opening day of the surfing world tour event at Trestles Beach in San Onofre State Park. The paddle is being supported by WiLDCOAST, a nonprofit organization that protects and preserves coastal ecosystems in the Californias and Latin America..
WHY: Both underfunding and proposed development projects threaten our parks.. Earlier this year, the Governor proposed closing 48 state parks (17% of the entire system) and reducing lifeguard staffing on 16 of the state's most popular beaches.. Proposed development projects currently threaten 2 of the state's most popular state parks which both happen to be in San Diego County.. 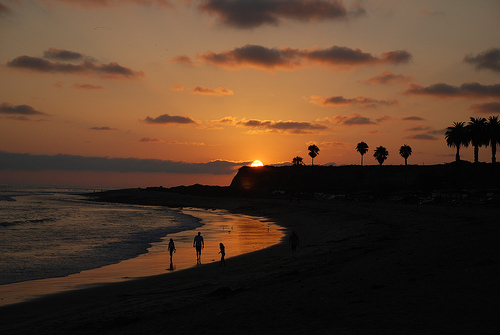 If built, the 241 Toll Road would destroy 60% of San Onofre State Park, and the Sunrise Powerlink would forever change Anza Borrega State Park..Most Californians believe that our state parks are permanent- that they will exist forever for future generations to enjoy. However, as these development projects show, this is not the case. .This paddle is an effort to provoke public dialog by drawing attention to the need for our state elected officials to develop legislation that will protect our state parks from underfunding and future development projects- FOREVER..
Join Surfrider activists on Saturday, August 23rd at 4:30 on the corner of Villa De La Valle and Jimmy Durante Blvd. for a demonstration to protect Trestles and San Onofre! Even though the Department of Commerce has not rescheduled the hearing yet, it's important that we are highly visible and continuing to put pressure on the Federal Government to reschedule the public hearing. We'll be waiving signs, holding surf boards and constructing miniature tents to demonstrate how the toll road will ruin the camping and surfing experience at San Onofre State Beach. And we need you there! Elizabeth Willes of the San Diego Chapter is touring with Jack Johnson to raise awareness about Surfrider’s newest campaign, Raise Above Plastics. 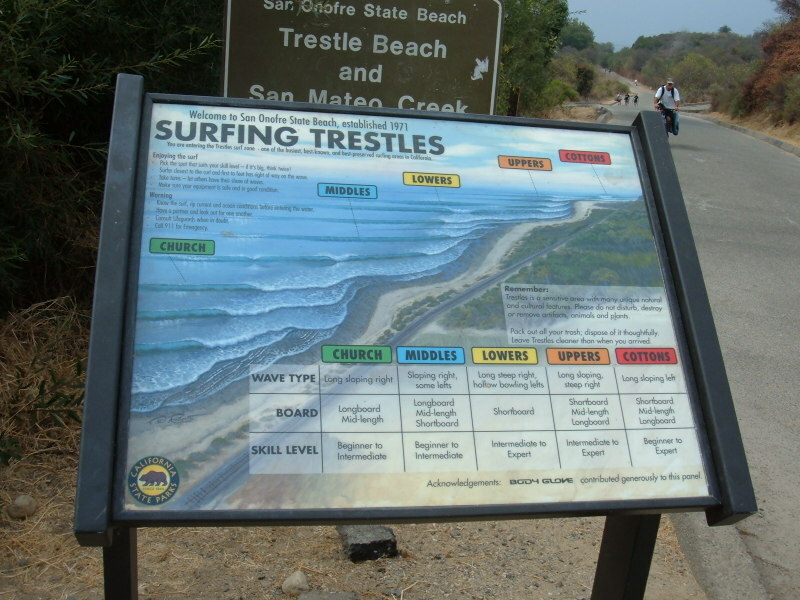 She is taking the Trestles love with her and getting people to carry our Save Trestles signs. Here is a picture of a very hot new band called Rogue Wave and singer/songwriter Mason Jennings. Thanks Elizabeth!